When you visit our attractive showroom in Roswell, you’ll be able to peruse fully staged displays of our exceptional desk options and office furniture. We’ll also partner you with one of our experienced furniture professionals who can suggest several options that will be tailored to your individual needs and budget. When you partner with NorthPoint Office Furniture, not only will your wallet thank you, but you can also look forward to premium desk choices from the industry’s most reputable manufacturers, including Global, DMI, Humanscale, and Lesro Office Star. By offering such brands, we help to guarantee our products’ superior performance, durability, and, not to mention, style. 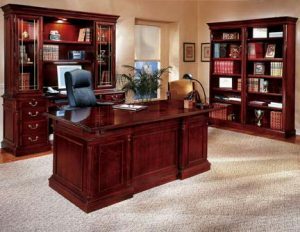 For more information regarding our massive desk selection and how we can help to optimize the functionality and aesthetic appeal of your home or business in Atlanta, GA, contact NorthPoint Office Furniture today.